Doctors, nurses, dentists, dental hygienists and other healthcare workers are highly trained professionals that spend years learning how to take care of others. However, they forget to take all of the necessary precautions to safeguard their own health. There can be deadly consequences to mishandling, faulty storage and disposal of medical waste. OSHA has developed strict guidelines for handling, storing and use of qualified medical waste disposal in Los Angeles and San Diego. 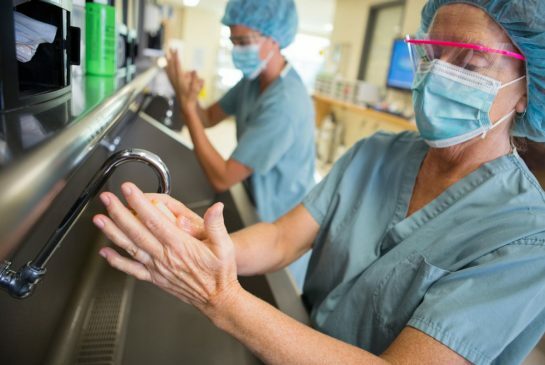 Wash hands right away with soap and warm water after handling any type of medical waste. Avoid touching the face, mouth or eyes nose or any breaks in the skin after handling medical waste. Wash hands before and after using the bathroom if you have handled medical waste. PPE are things such as safety glasses, gloves, face masks/shields, aprons, coveralls or rubber boots. If it is provided always wear the items. It is an important line of defense against illness. If these items are not provided, check with the agency administrator. Keeping the environment as germ free as possible is critical at a healthcare facility. There are people arriving continually that may have already compromised immune systems. Storing or containing medical waste safely should be a priority. There are protocols for medical waste disposal San Diego that need to be followed in order to maximize the safety of healthcare workers and patients. Document the history of all medical waste from handling, collecting, transporting and disposal. Designate a specified area for medical waste disposal. Sharps (needles or blades) have to be in a puncture proof container. All containers with medical waste have to be clearly marked. Make sure the outside of the containment units remain uncontaminated. Decontaminate each bag from the container according to current safety protocol. Understand and become familiar with any state or county regulations for medical waste handling as well. There may be additional precautions that are required to take in your particular area. Teaching everyone about the dangers of blood borne pathogens and how to handle infectious and bio-hazardous materials is the only way to greatly minimize the risks of mistakes being made during the handling, storing or disposal of medical waste. All larger health facilities tend to offer internal classes on this subject. Smaller healthcare organizations would benefit from starting a course in medical waste handling. A refresher course every once in a while is not a bad idea either. Employees in the healthcare industry are there to help people. Unfortunately, they become vulnerable to illness by being exposed to germs from body fluids. Following the strict guidelines in place for handling, storing and processing medical waste will keep the chances low for contracting disease and illness from medical waste. Proper medical waste disposal Los Angeles and the surrounding areas is as easy as going here. You can get a free quote and sign up for the medical waste services that you need at an affordable rate. The peace of mind from knowing your patients and employees are protected is worth the expense.